Electrical retailer and one time high street giant, Comet finally surrendered and closed its last remaining doors as Business Secretary Vince Cable ordered an inquiry into the firm’s collapse. The government has been left holding the bag on 50 million pounds worth of unpaid taxes and redundancy costs and questions are being asked across Whitehall about the hows and whys of Comet’s bitter end. Turnaround managers OpCapita took control of Comet in February with a 50 million pound float from the former parent company and vowed to keep the retailer and its remaining jobs alive for at least 18 months. But it called in administrators in November blaming a difficult trading environment and a lack of support from credit insurers who refused to cover its suppliers. 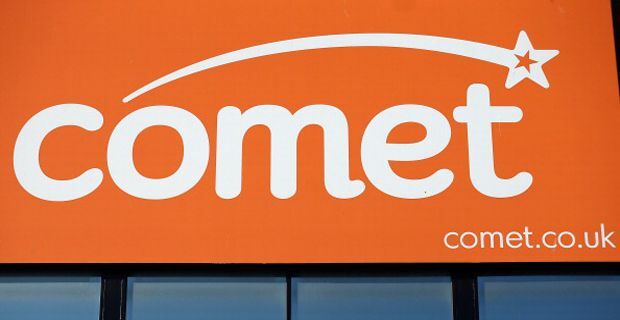 With insufficient funds left on the bones of the company, it emerged last night that the Government will have to pick up Comet’s tab for £23.2 million of outstanding redundancy pay, accrued holiday pay and pay in lieu of notice as well as a further £26.2 million lost in unpaid tax to HM Revenue & Customs, which is an unsecured creditor. Deloitte, who were the receivers and pall bearers finally brought the curtain down as the total job losses hit 6,900. But their final report revealed that OpCapita, which is run by former investment banker Henry Jackson, and its backers billed the heavily loss-making company £12.8 million in nine months for financing and ‘monitoring’ fees. It is as yet unclear whether that was offset by losses elsewhere in the byzantine financial arrangements or if they had effectively milked the company dry then ripped off creditors and employees alike in a mini Rover scam. Consequently, as customers snapped up the last of the Comet stock in the deserted remaining outlets, creditors stung to the tune of 232 million await the findings of the investigation and to see whether this was purely a casualty of the shifting retail landscape or something more sinister.